In 2005, Canadian-born GIS specialist, Mel VanderWal was contracted by Immersive Media to create software that would run on its 360 degree video cameras. Within a couple of weeks, he had built a prototype application that would eventually become Google Street View. VanderWal – who is currently real estate firm JLL’s Brisbane-based global director, GIS innovation and APAC GIS technology lead – was asked to integrate Immersive Media’s technology with conventional GIS desktop software. “They would go out and take full motion 360 degree video with these cameras but didn’t have a good way of displaying it. They had a nice video player, but it didn’t give you any context for what the information was used for,” VanderWal told CIO Australia. These cameras were largely used for environment monitoring and assessment activities. “They would hang the camera below a helicopter and fly a proposed pipeline route for instance, and use the images for stakeholder engagement,” he said. VanderWal was contracted around the time Google Maps had become available and he suggested that Immersive Media’s technology could tie into the web mapping service. He built a simple app that showed a Google Maps-based map with ‘blue lines’ superimposed wherever the cars with cameras had driven. In 2006, Immersive Media sent out Volkswagen Beetle cars – fitted with 360 degree cameras – to gather ‘geo-referenced’ video of city streets in the United States and Canada under its “GeoImmersive City Collect” project. 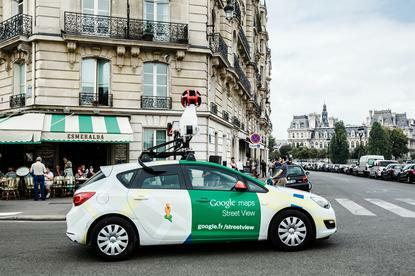 This project later became known as Google Street View under an agreement between Immersive Media and Google. Immersive Media says on its website that data mapped from the first 35 cities was viewed by more than 75 million people in the first four days. “I’d like to say that I had the idea but I was probably a month before someone else having the same idea,” he said. “I know I could have worked for them [Immersive] and turned it into something bigger and better … but for me to work on one project for a long time, I get bored,” he admitted. Today as JLL's GIS leader, VanderWal investigates new GIS-related technologies and integrates them into the global real estate firm's workflows. He said JLL’s head of IT, Andrew Clowes sees the value in locational intelligence and how it can benefit the firm.